Last week, the Obama administration updated its proposed regulations regarding birth control coverage under the Affordable Care Act. It refused to create an exemption for for-profit employers who object to provide contraceptive coverage on religious grounds, but it left a lot of people, reporters included, confused about how religiously affiliated employers would be accommodated, and who—the insurer, a third-party provider, or the federal government—would be left footing the bill for the coverage. 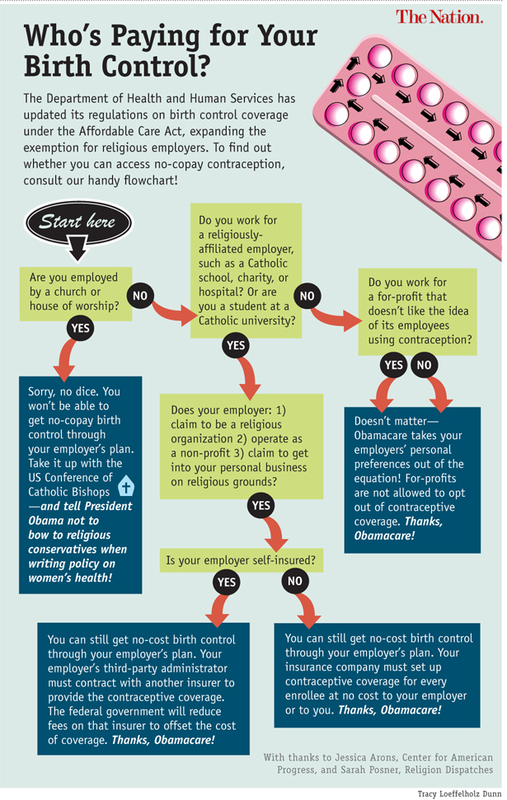 To find out whether you can access no-copay birth control through the ACA, check out the infographic below!